A Verona Island man arrested in April on charges of manufacturing methamphetamine was indicted Thursday by a Hancock County grand jury. Craig D. Kneeland, 28, was indicted on two counts of operating a meth lab, one count of arson, one count of aggravated criminal mischief, four counts of unlawful possession of illegal drugs, and one count of violating conditions of release. The charges of operating a meth lab and arson are Class A crimes in Maine that, with a conviction, are punishable by up to 30 years and a fine of up to $50,000. 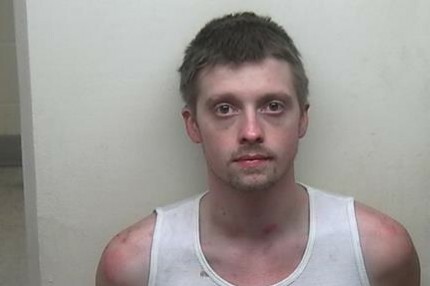 Kneeland was arrested April 3 after police officers with Maine Drug Enforcement Agency received a tip that Kneeland had been making meth at his Bridges Road home, police said at the time of his arrest. MDEA agents also learned that a fire previously had occurred at the home but had never been reported to fire officials. “The making of meth can be highly flammable,” police said at the time. Later, on the same day police got the tip, they located Kneeland leaving an area hardware store with muriatic acid and lithium batteries, which are used to make meth. They took him into custody, brought him back to his home and searched it. There they found the manufactured drug, ingredients for making meth, and a loaded .357 handgun. MDEA mobile lab technicians were called to the house and found 33 plastic bottles that had been used to make the drug. Jami Cass, 28, and Chandler Levesque, 22 — two people who also lived at the home with their 5-year-old child — were charged with misdemeanor counts of endangering the welfare of a child, but have not been indicted by a grand jury. At the time of the drug bust, state officials found alternate living arrangements for the child, police said at the time. When he was arrested, police said Kneeland also had five outstanding warrants for his arrest for crimes ranging from operating a motor vehicle after suspension to possession of methamphetamine and to trafficking in prison contraband.